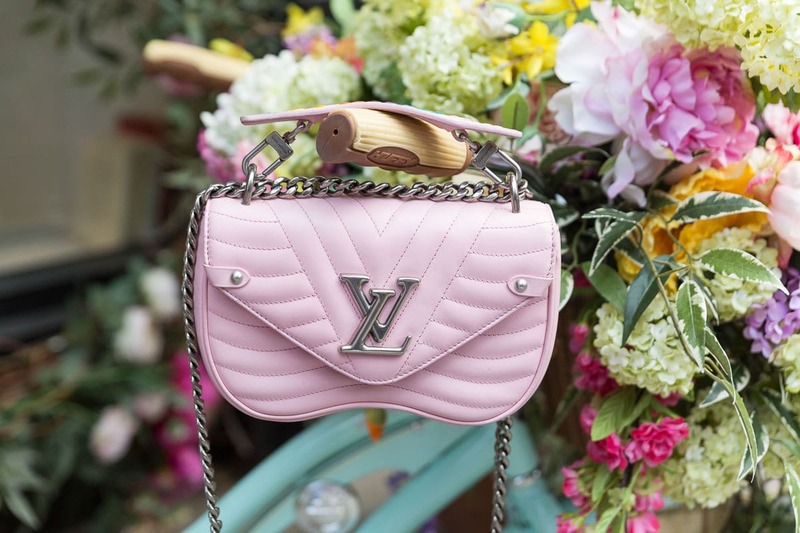 If you’re a PurseBlog regular or Louis Vuitton devotee. 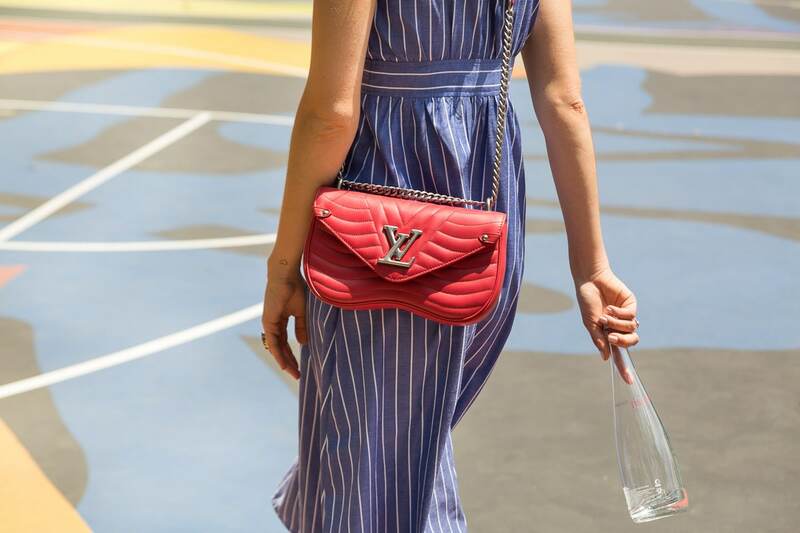 I’m sure you’re well aware that Louis Vuitton has released a brand new, super colorful line of bags, which they are calling The New Wave Collection. We gave you the heads up a couple of weeks back. And since then I’ve already seen the bag carried by some of my favorite style bloggers and celebs alike. 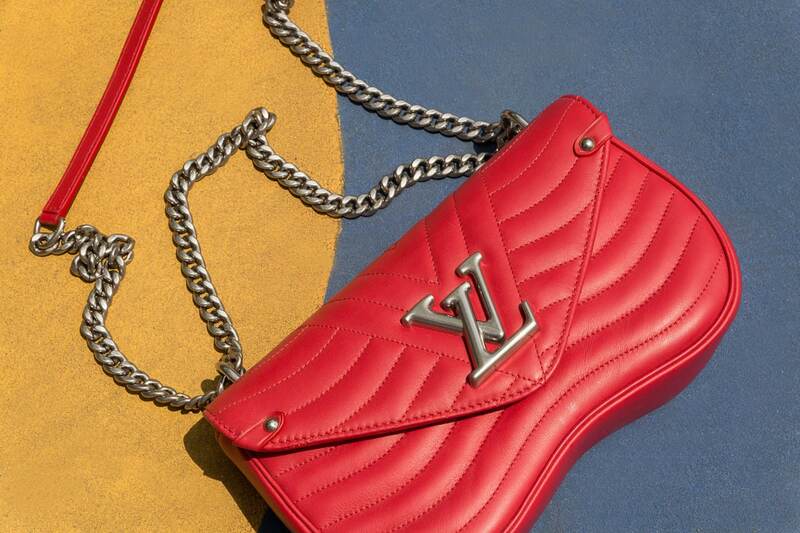 We already gave you a glimpse of this line via Louis Vuitton’s big advertising push. 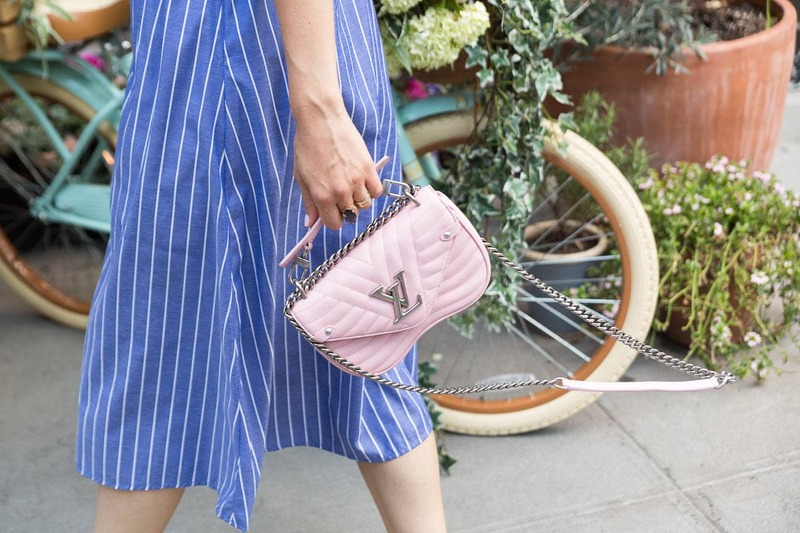 But of course we wanted to see these bags up close and personal for ourselves, and so today we have a treat for you: an in-depth look at the Louis Vuitton New Wave Chain Bag. The New Wave Chain Bag comes in two sizes, the MM—on the left—is the larger of the two, while the PM—on the right—is the little sister version. There were a lot of thoughts running through my mind when I first received these new wave bags. For starters, I was surprised at the sheer weight of the bags with nothing in them at all. 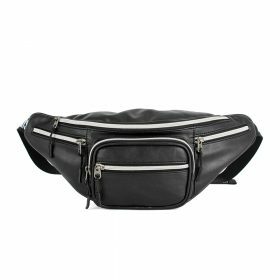 The chain strap, logo, and thick leather mean that this bag is not lightweight at all, although I find it so stylish that I don’t think I would care how heavy it feels to carry. That brings me to my second point: I absolutely adore the overall look of the New Wave Chain Bag. It does remind me so much of the Gucci Marmont, which as you know. 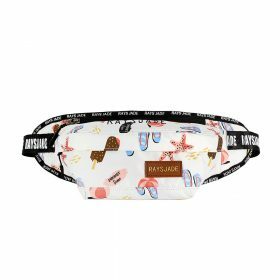 I recently acquired myself, so I’m not super surprised at how attracted I was to this bag. It was love at first sight for me. 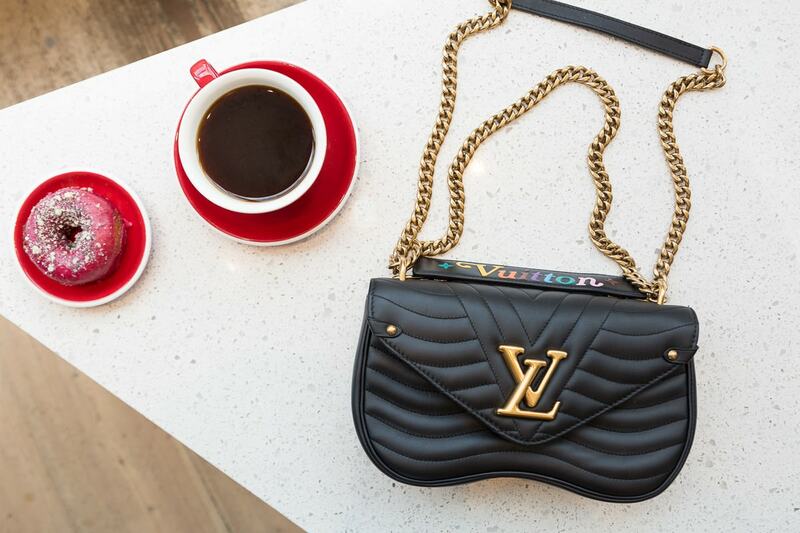 And I don’t recall lusting after a Louis Vuitton Bag as much as this one in recent years. I would love to snag this in one of the bright colors for a fun pop to my often neutral outfits. Both of these bags are crafted of smooth calfskin leather, which felt soft, luxurious and exactly what you would expect of a high-quality designer bag, though the quilting makes the leather thick and a little bit bulky, which definitely contributes to the overall weight of the bag. 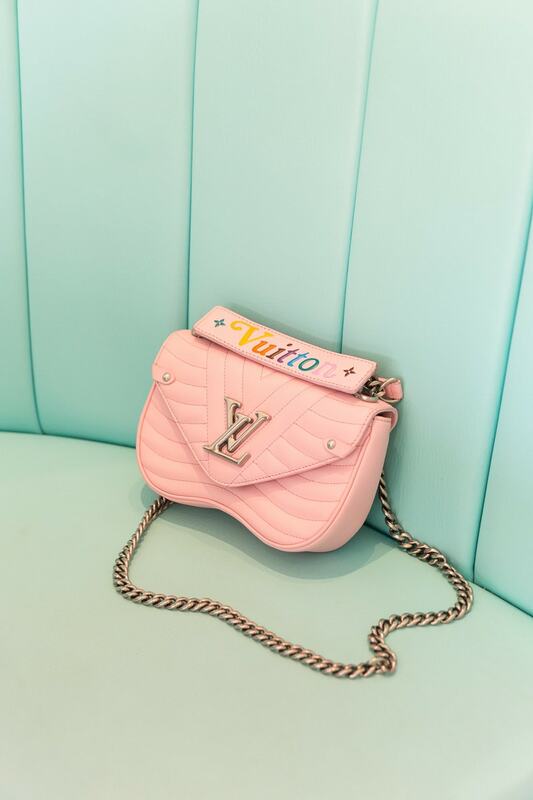 Aesthetically, I love the top handle strap which reads “Vuitton” in rainbow lettering. 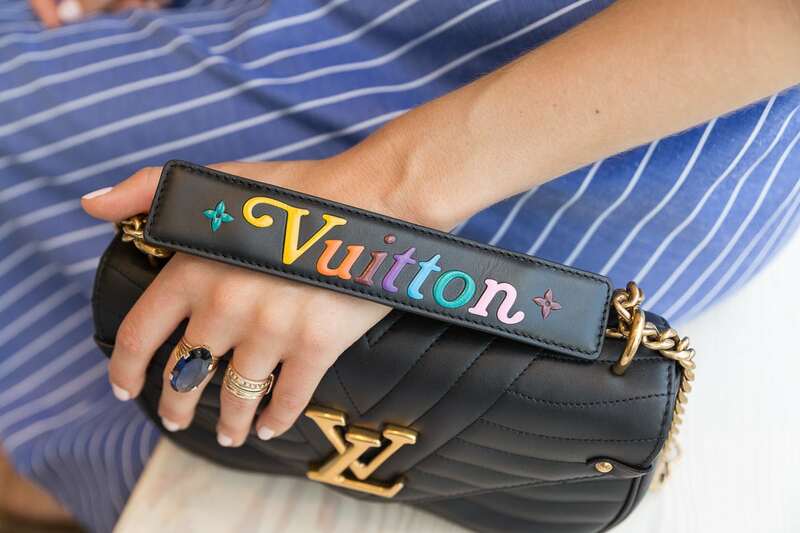 This brings me back to the pre-Nicolas Ghesquiere era, when rainbow tones went hand-in-hand with Louis Vuitton monogram. Though the rainbow top handle is a focal point for me as it adds a pop of fun to this leather bag. It’s totally removable. 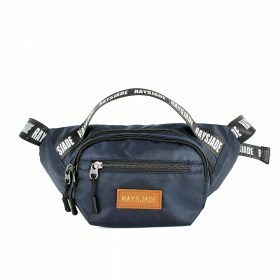 So if it’s deterring you from really liking this bag, don’t let it! 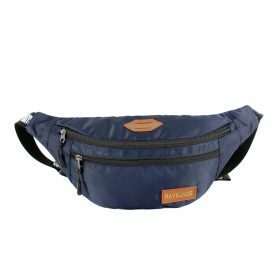 This bag can also be carried with just the chain strap. You can wear either cross-body, long over the shoulder. Or doubled for a shorter over-the-shoulder look. 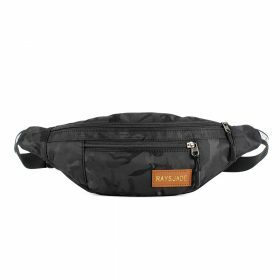 The chain strap also features a padded leather panel. Which is definitely an added bonus, given the weight of this bag overall. Overall, this bag is super structured, which you might not expect from a quilted leather bag, but it doesn’t have much give to it at all, and that’s where this new wave bag really differs from the Gucci Marmont. It holds its shape no matter if it’s completely empty or totally full. Depending on which color you choose, the hardware is either a brushed, muted gold, like on the black New Wave MM we shot, or it’s an aged silver tone, like on the pink PM and red MM we took a look at. I’m not sure I like the change new wave bag in hardware tones. I find myself thinking I would like the red more if its hardware were gold. And I don’t think I would be as picky if the whole collection featured just silver accents. 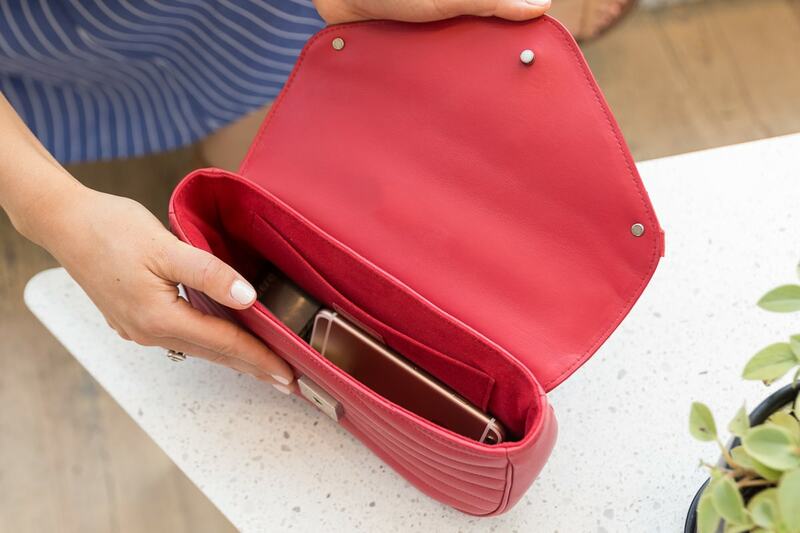 Inside, this bag is lined in microfiber and features one interior slit pocket. Overall dimensions of the New Wave Chain PM are 8.2″ L x 5.1″ H x 2.5″ D. Which retails for $1,990 via Louis Vuitton. 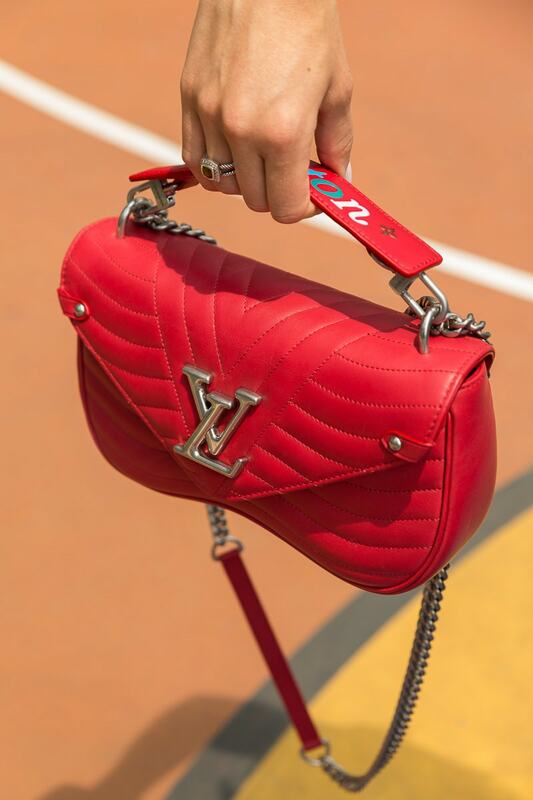 While the New Wave Chain MM measures in at 9.8″ L x 5.9″ H x 2.9″ D, and retails for $2,270 via Louis Vuitton.